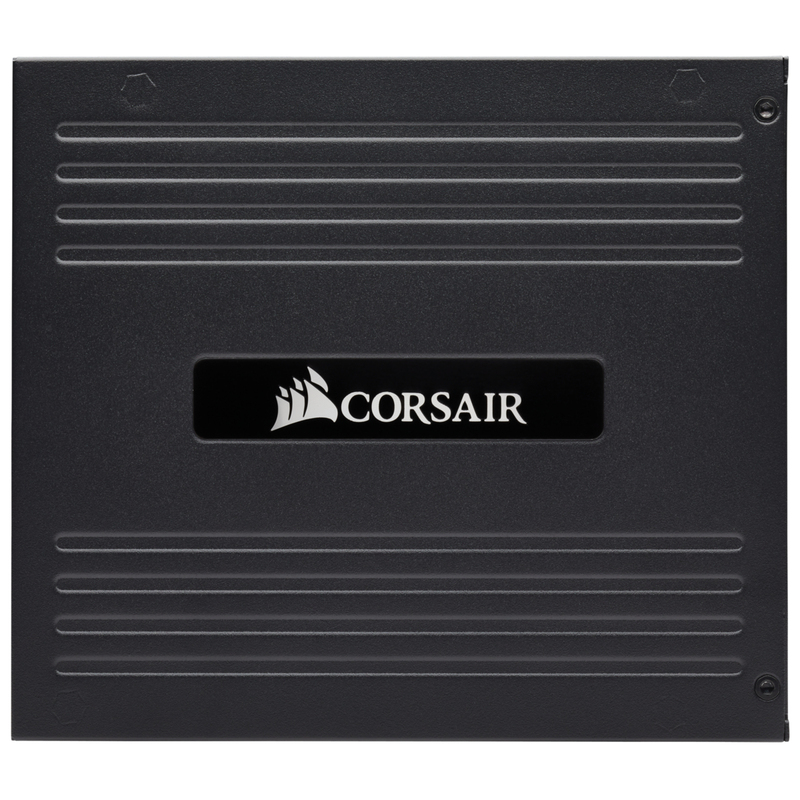 You will earn 264 Points for purchasing this product. 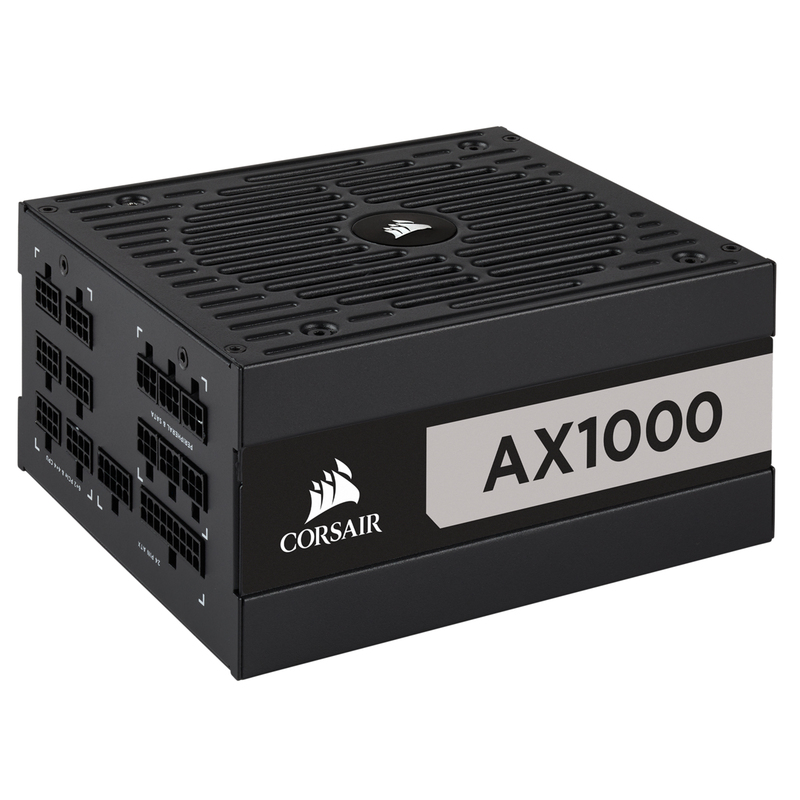 Superior voltage regulation and minimal ripple/noise ensures the highest quality and most consistent power for your PC, keeping your system stable and unlocking your motherboard’s true potential for overclocking. 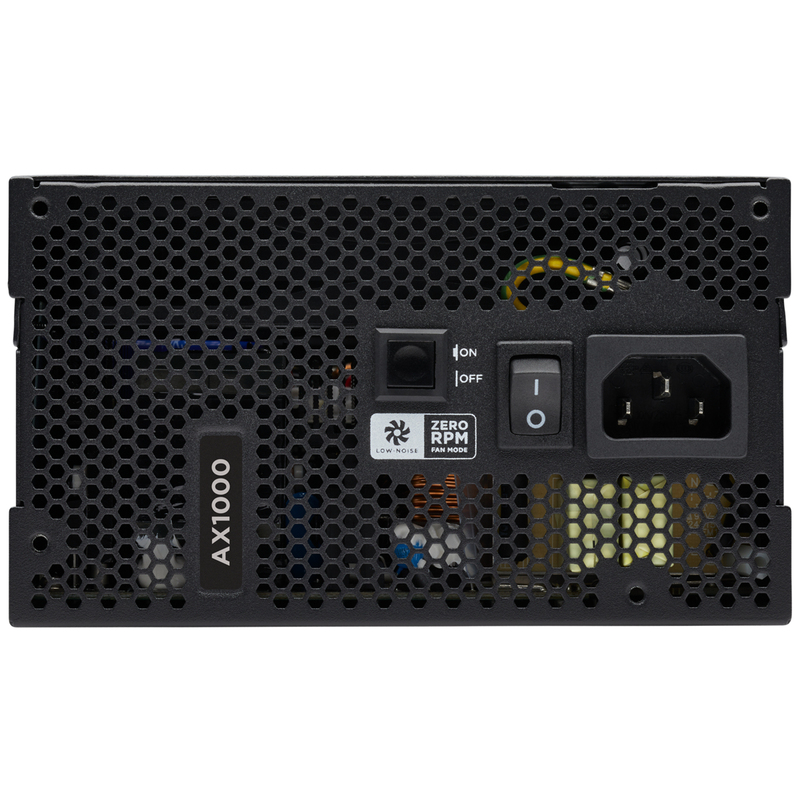 The AX1000 delivers power at up to 94% efficiency, lowering energy consumption, noise, temperatures, and your power bill. 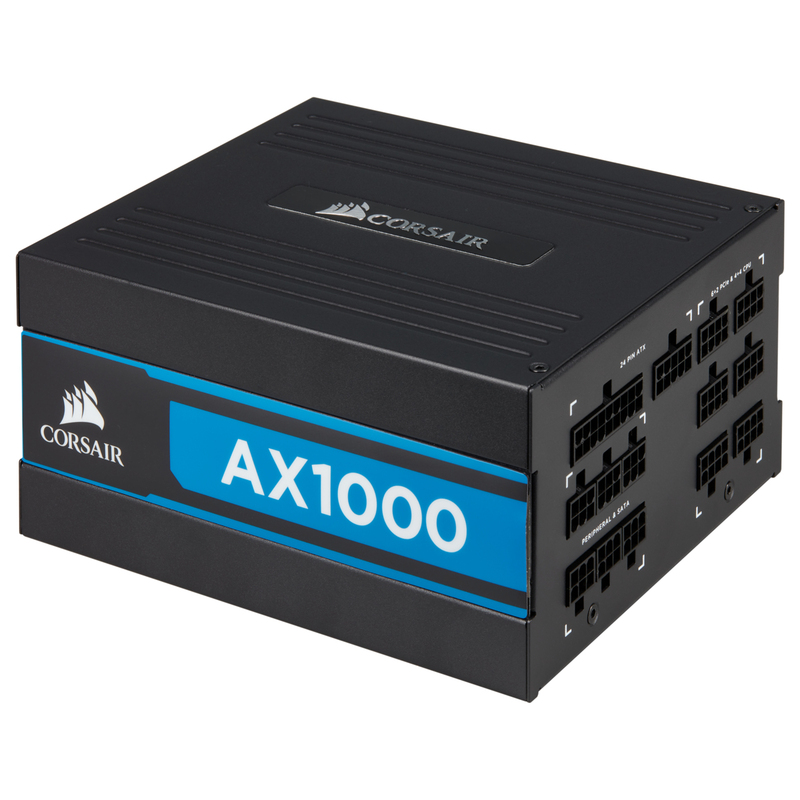 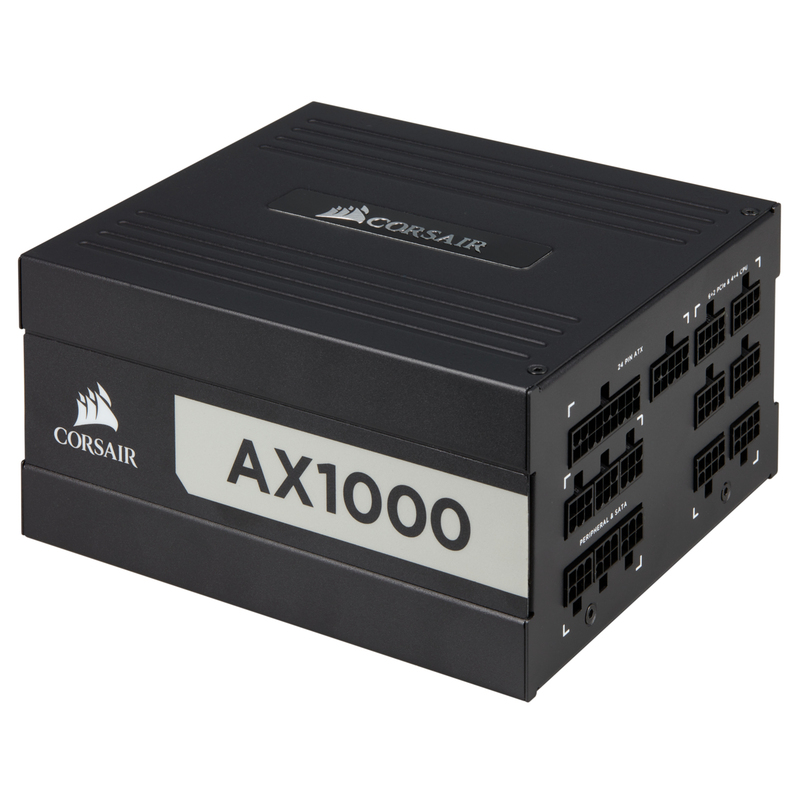 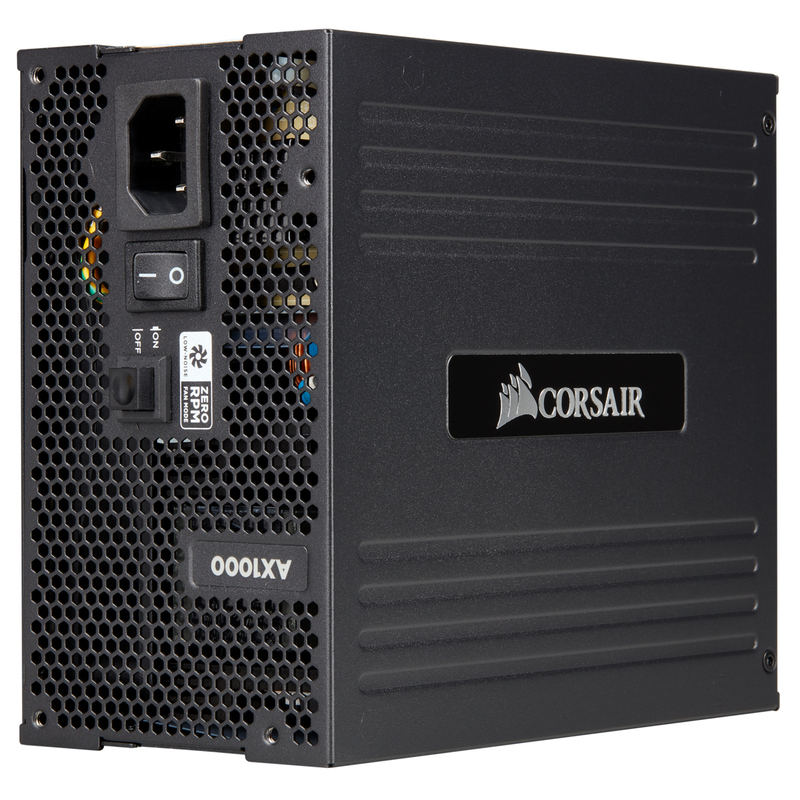 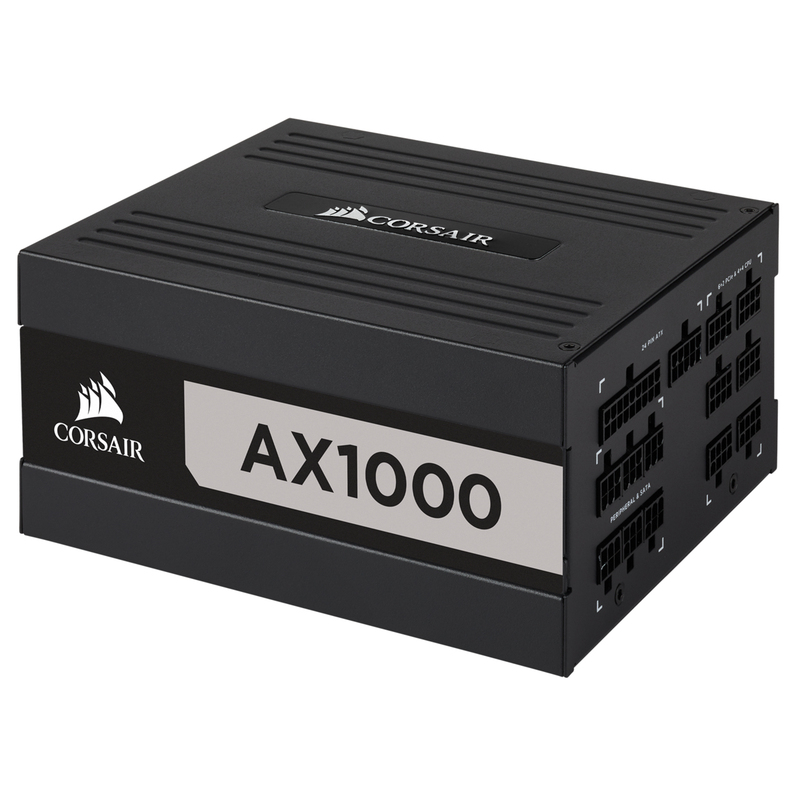 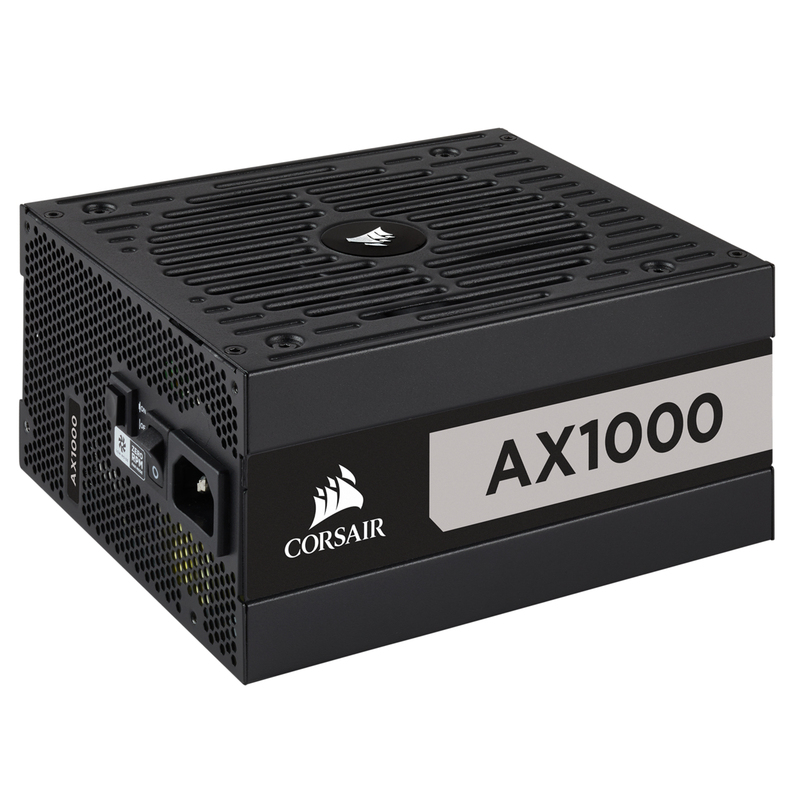 By using high-end electrolytic capacitors, AX Series power supplies offer the unwavering power and long-term reliability you demand from a CORSAIR power supply. 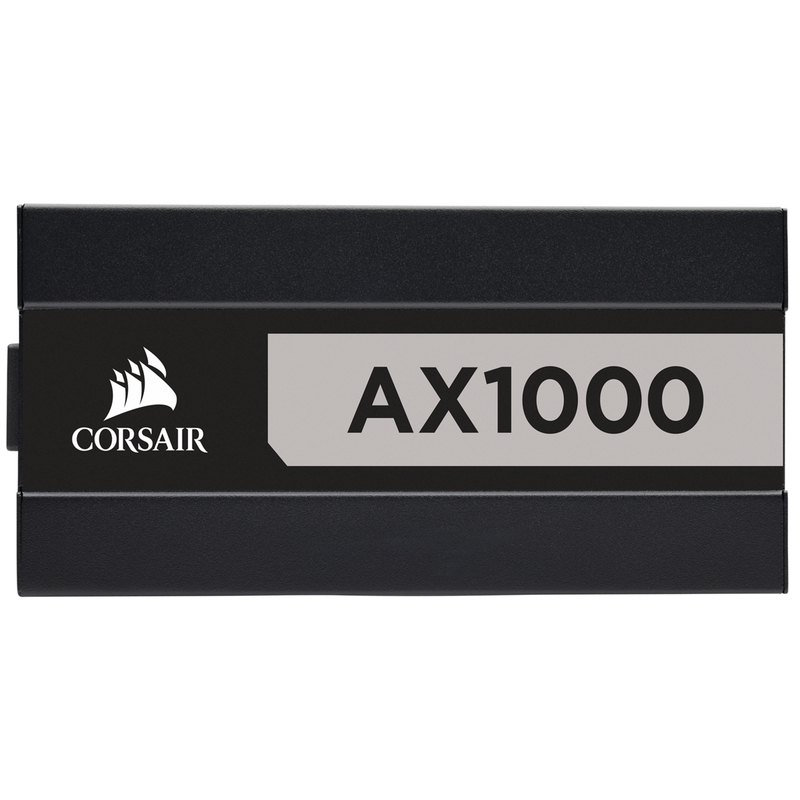 The AX Series’ cooling fan doesn’t spin until you need it, for near-silent operation at low and medium loads. 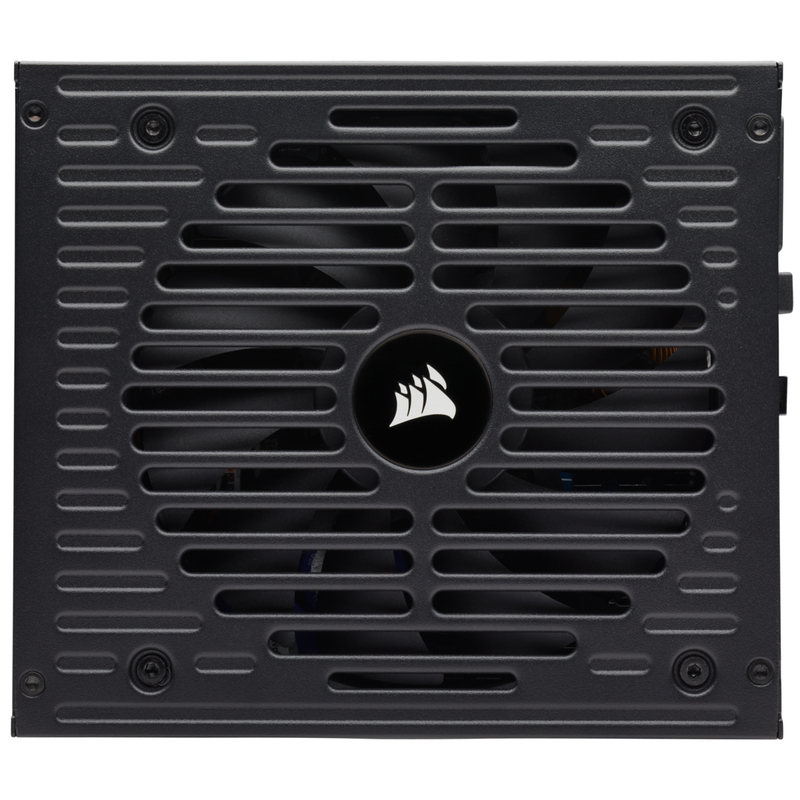 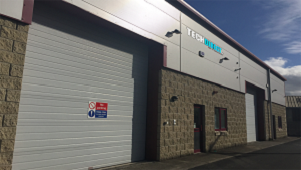 Immensely powerful airflow, low noise operation and longer life thanks to a true Fluid Dynamic Bearing (FDB) fan. 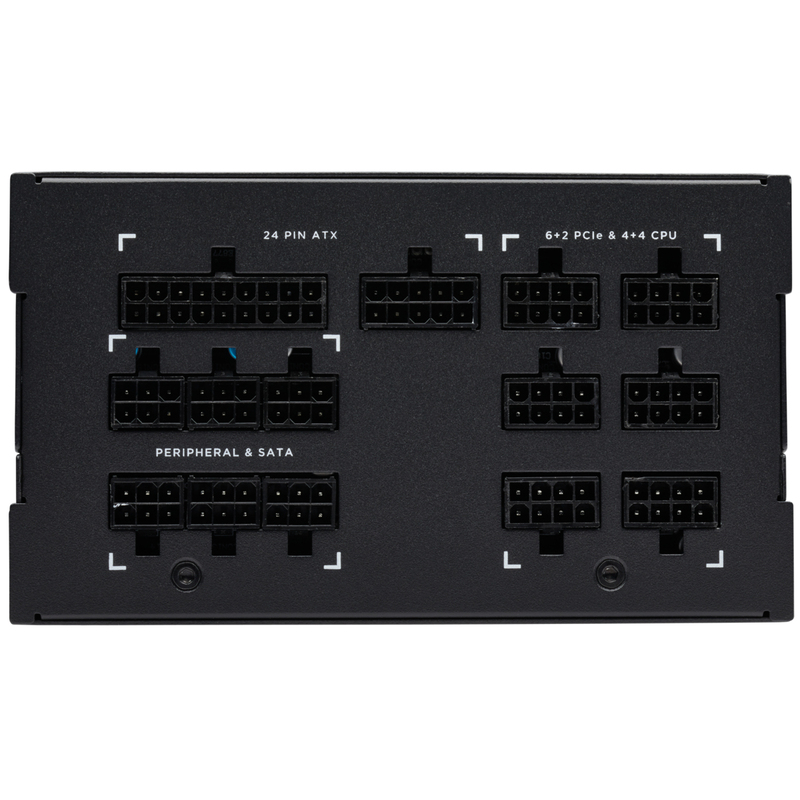 Use only the cables you need for quick and easy installation, with stylish sleeving to simplify routing and cable management. 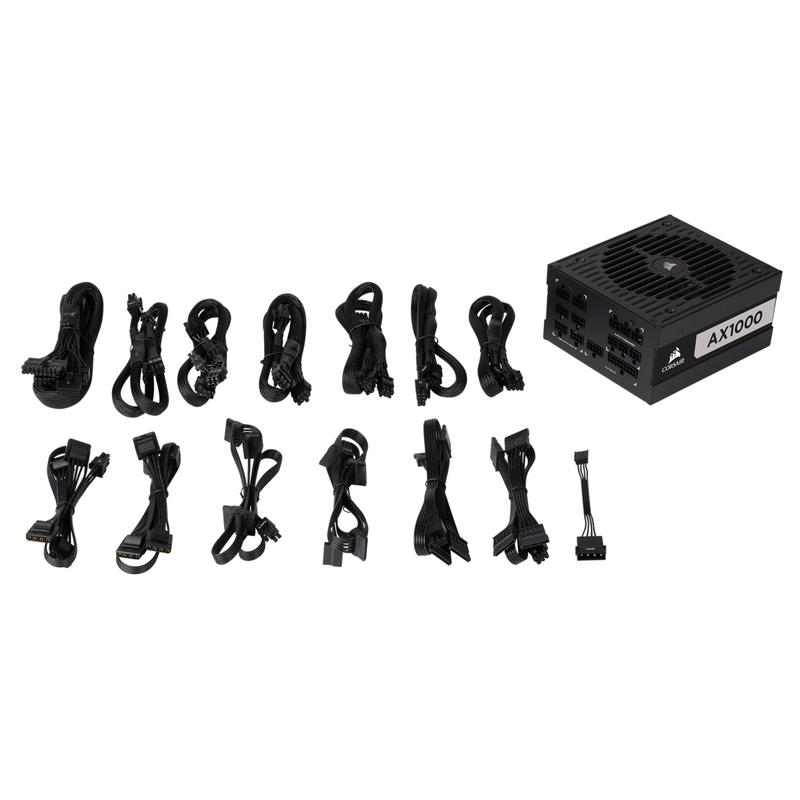 Store your unused cables in the included cable bag. 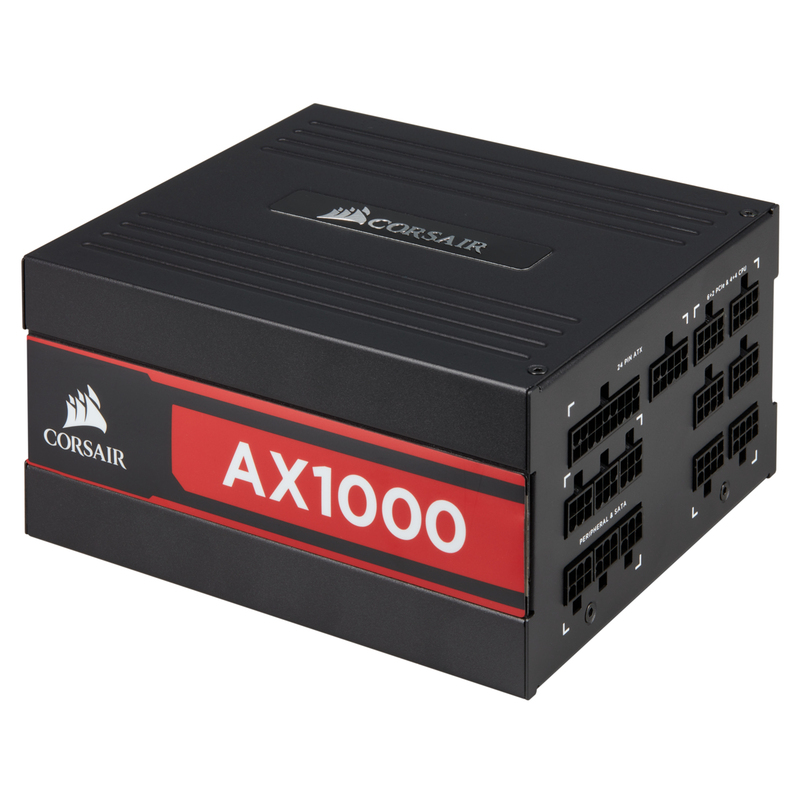 Customize your PSU to match your system’s style with three included magnetic side labels in red, white or blue.